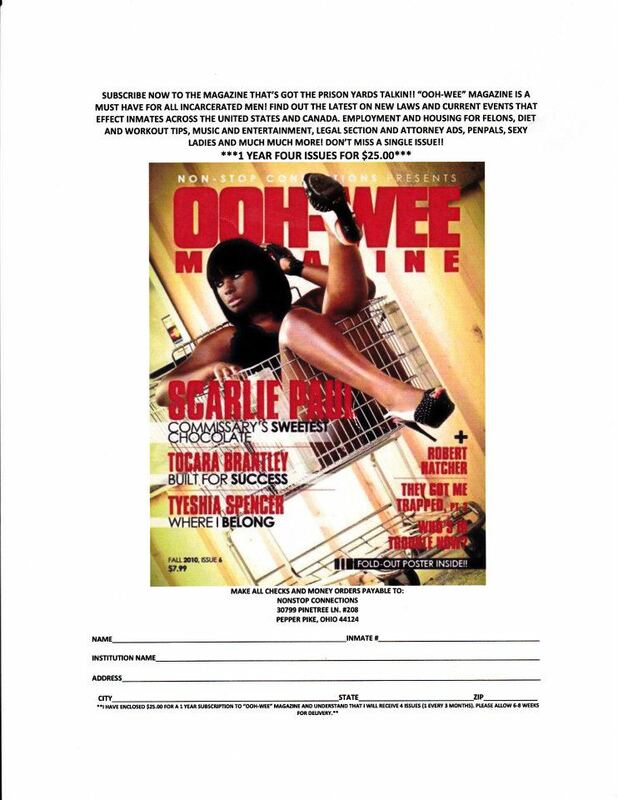 Subscribe to OOH-WEE Magazine TODAY!!! SUBSCRIBE TODAY!!! COP A SUBSCRIPTION FOR YOURSELF OR A LOVED ONE OR FRIEND THAT’S INCARCERATED! YOU WILL REECEIVE 6 ISSUES A YEAR (4 SEASONAL ISSUES AND 2 BONUS ISSUES) ALL FOR $25.00….CANT BEAT THAT!